Crime writing superstar Jo Nesbø has joined a prestigious and exclusive list of high-achieving Norwegians after being named this year's winner of the 'Peer Gynt' Award. Nesbø, who has had skyrocketing international success for his crime novels starring Harry Hole over the past few years, was voted by Members of Parliament as the person who had done the most to make Norway better known abroad. 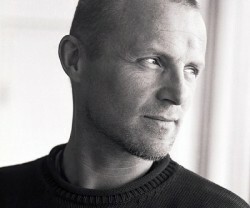 The award will be presented to Nesbø on 2 August. Do you do book reviews or interviews? I work for Huffington Post and Psychology Today blogger and crime fiction author Dr. Mark Rubinstein. He recently released his new psychological thriller, Mad Dog House. A gripping story of former Brooklyn street thug Mad Dog who currently lives the life of his dreams as Roddy Dolan; successful surgeon, ex-Army Ranger and devoted family man. However, his dream slowly turns into a nightmare when shady friends from his past return into his life begging him to invest in a restaurant that turns into a no win situation of Mafia thugs and Russian honchos! I love MDH because Dr. Rubinstein is a forensic psychiatrist with over 40 years experience. He is an expert on psychological thrillers, the criminal mind and knows how to share the story! Dr. Rubinstein is intrigued by your blog and asked me to see if you were interested in doing a review? We would love to send you free Kindles or paperbacks for reviews, giveaways, etc. Whatever would be the most FUN and informative for you! Please let me know any ideas you have. Your imagination is the limit!